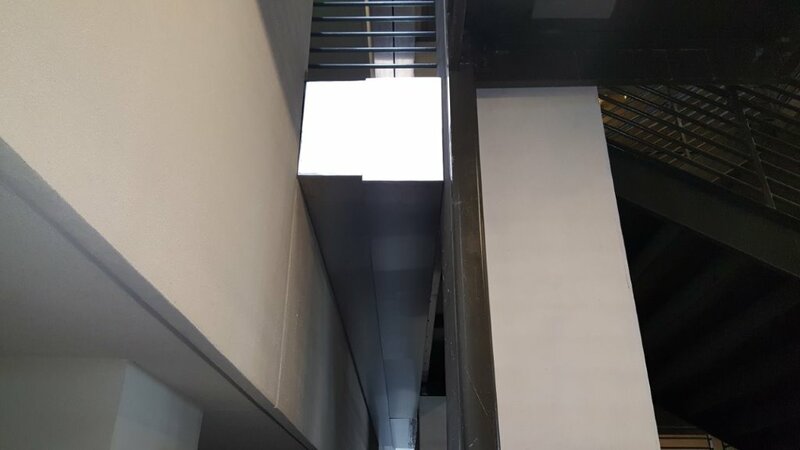 The Source is a 500,000 sq. ft. retail, office, restaurant, hotel, and entertainment complex is on the 12.5 acre site at the northeast corner of Beach Boulevard and Orangethorpe Avenue. 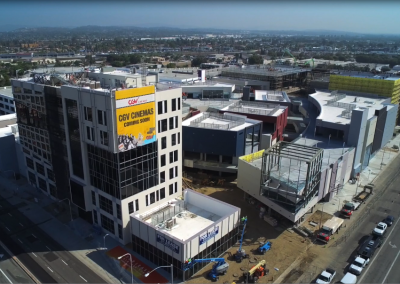 The development is a Buena Park landmark creating a premier destination featuring a wide array of shopping, dining, and entertainment. 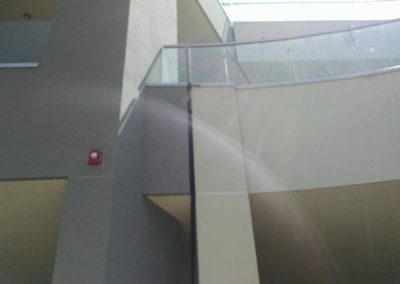 The multi-story development features unique and energetic contemporary design with state-of-the-art electronic imagery. 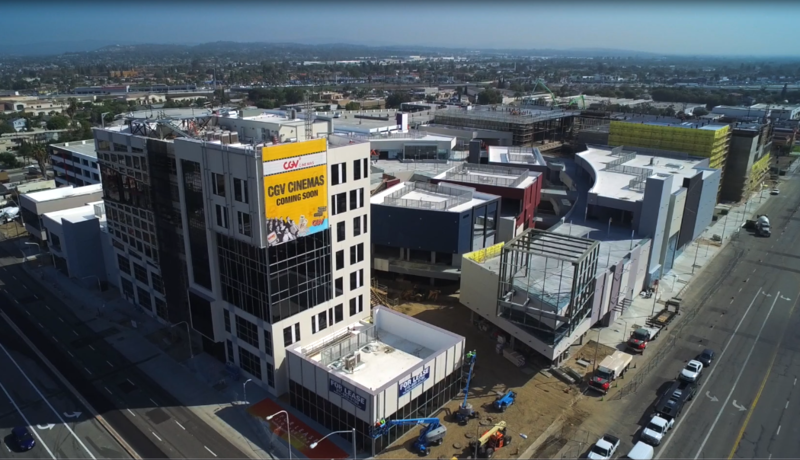 This dynamic and exciting environment brings a fresh combination of businesses to Buena Park and creates a whole new experience in the Center of the Southland. 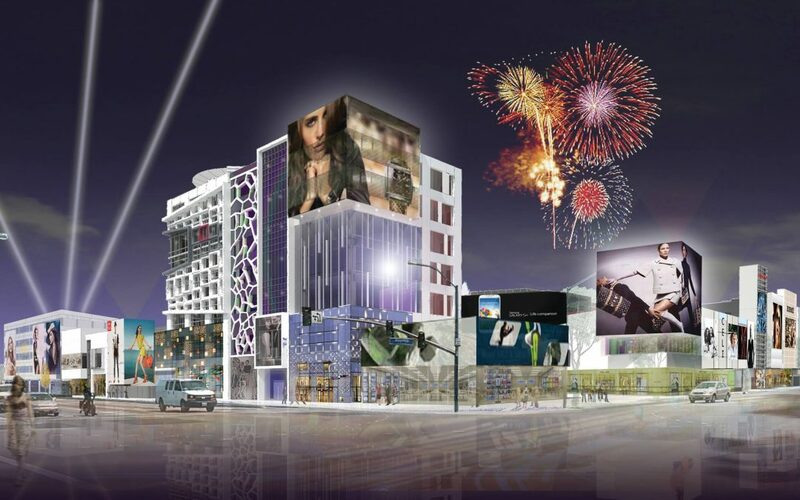 Large scale theaters and an upscale hotel tower above the mall, add to the lively environment, giving travelers, shoppers, residents and all visitors an exciting 21st century model for optimum city living. 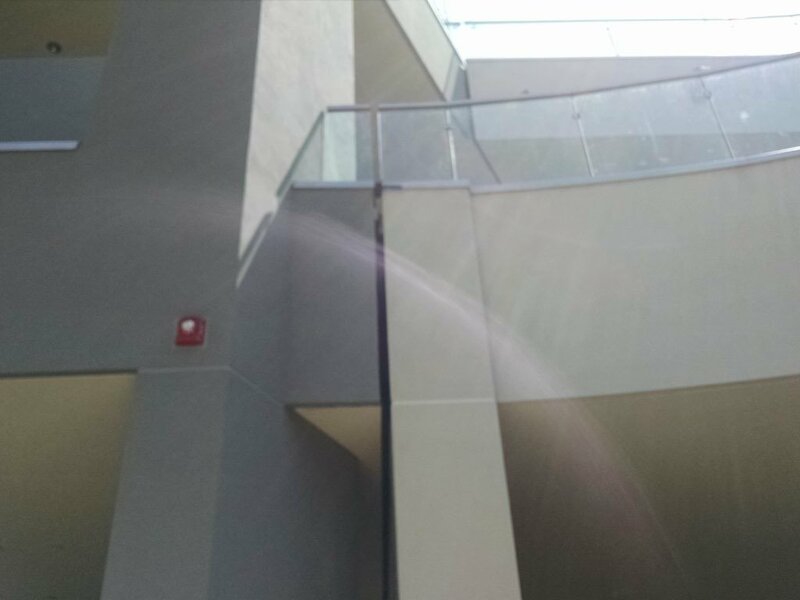 Phase 1.5 of this project, is located on the corner of Beach Boulevard and Orangethorpe Avenue, in the heart of Buena Park. 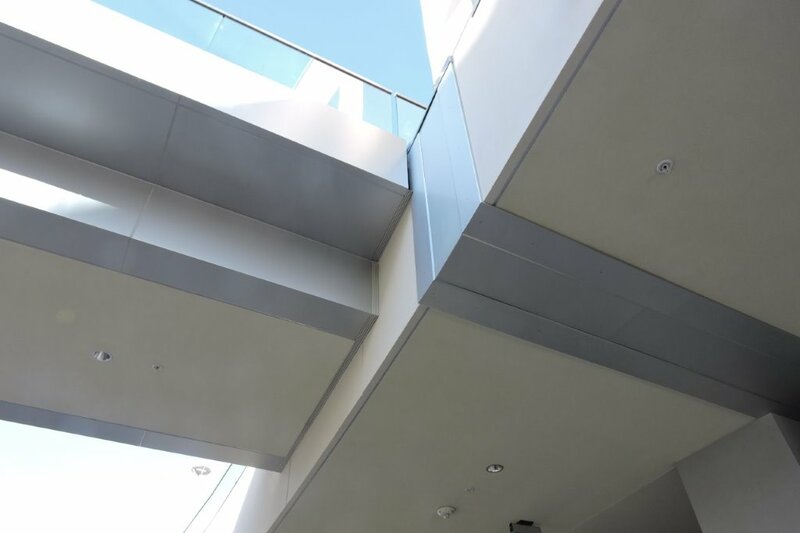 Practical efficiency and sound aesthetics make The Source a premier Southern California attraction. 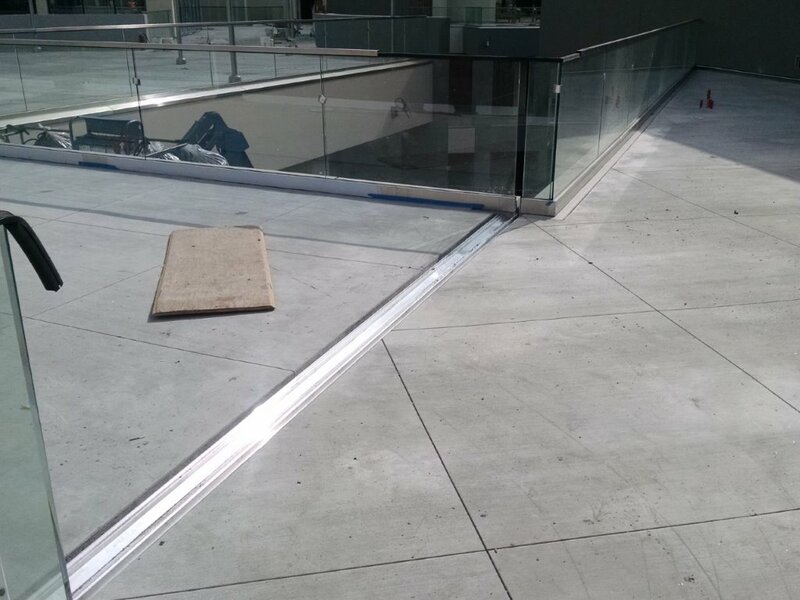 With three open air retail floors and an adjacent parking structure, Encore Building Products coordinated with NBBJ, Swinerton Builders and the expansion joint installer, West Coast Expansion Joints, in an effort to offer unique systems that met special design objectives as well and the unique performance requirements of the project. 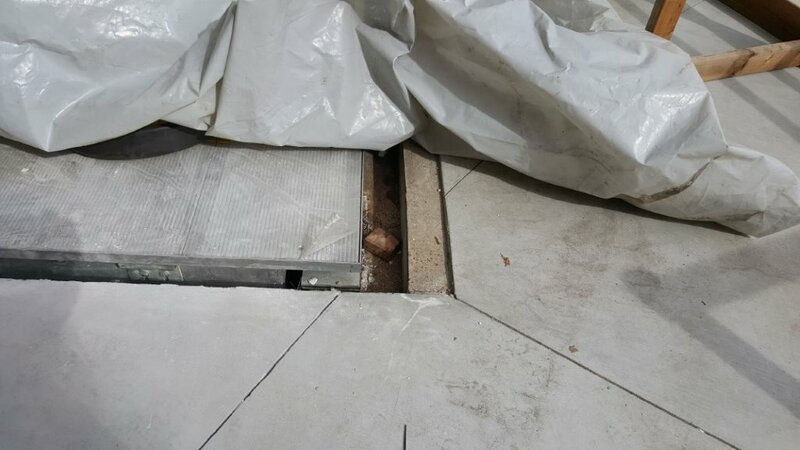 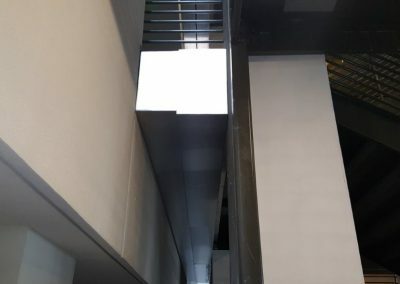 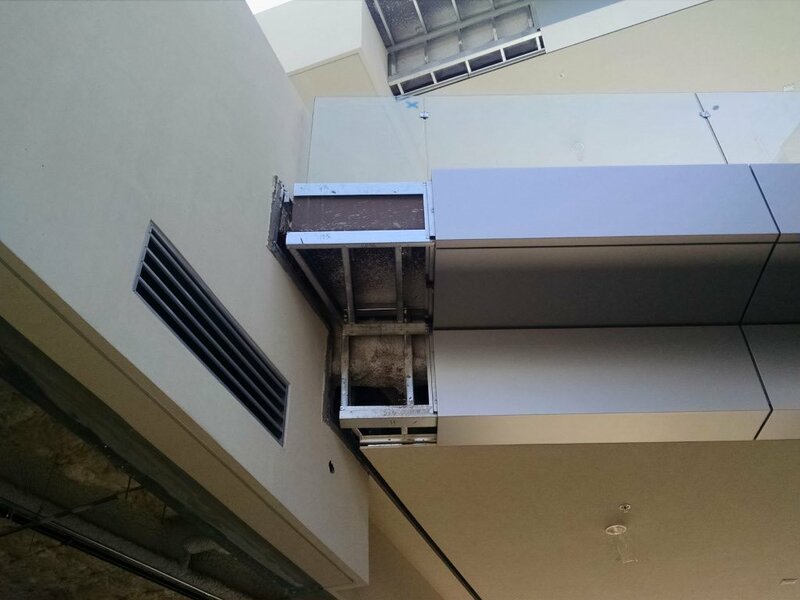 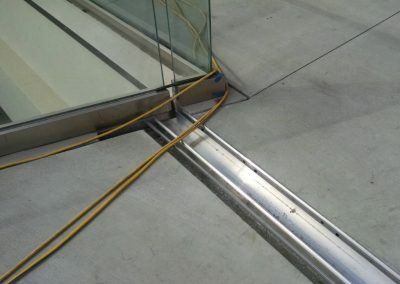 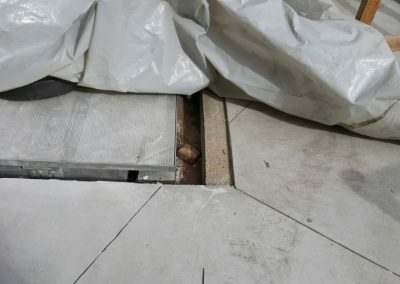 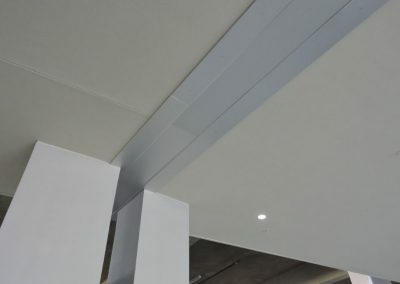 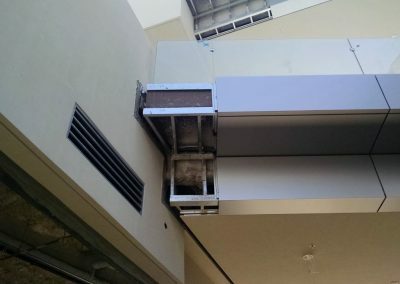 Throughout the project are smaller pan type expansion joints, wall covers, and seals that were designed to blend into the surrounding walls and floors so they were not obvious to mall visitors and guest. 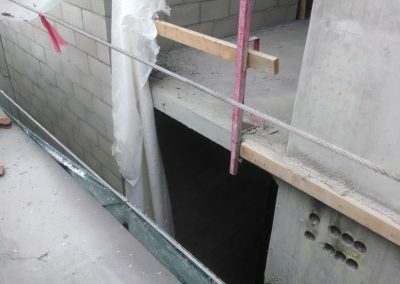 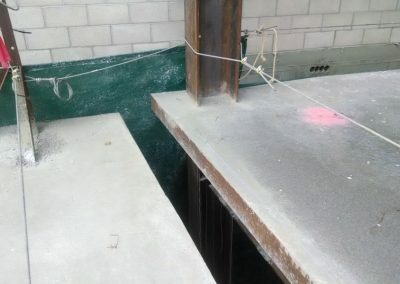 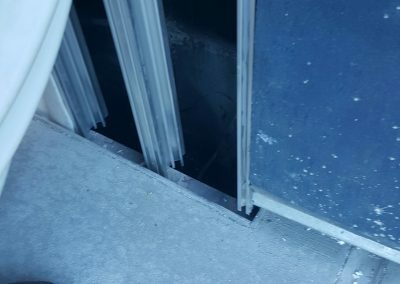 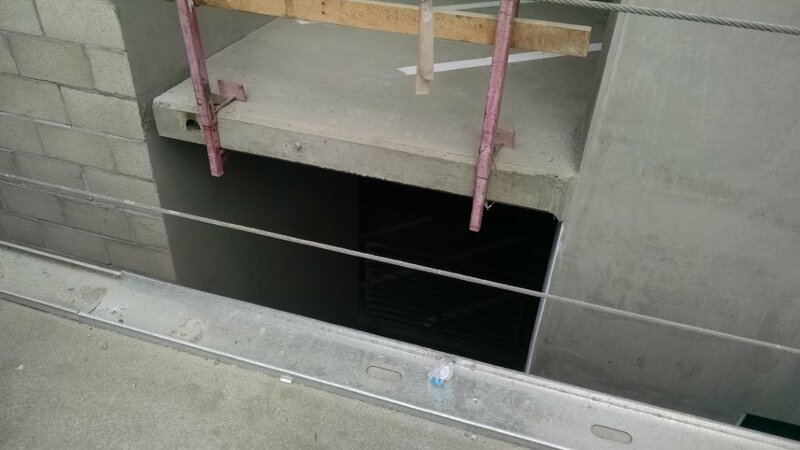 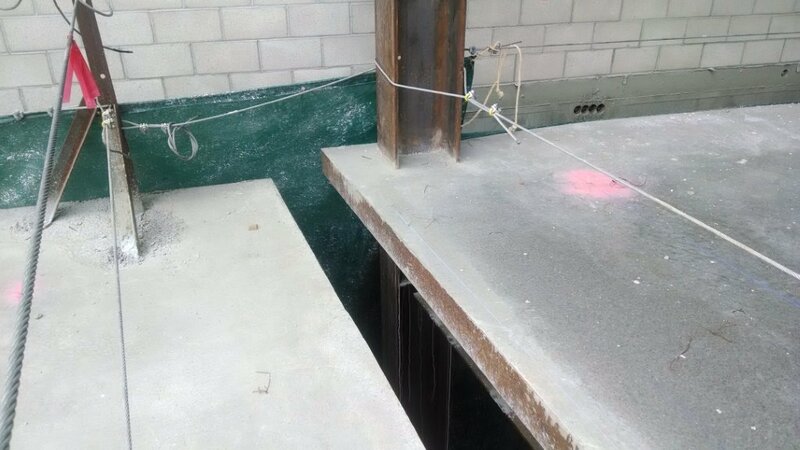 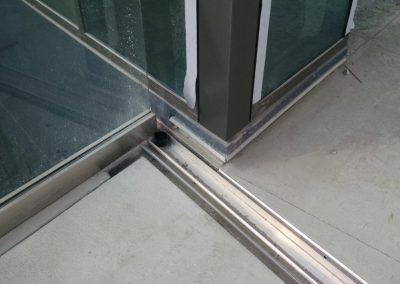 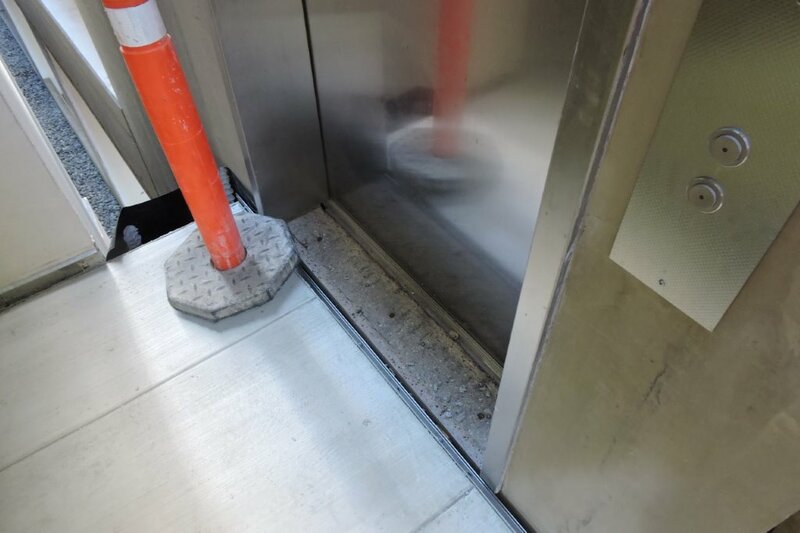 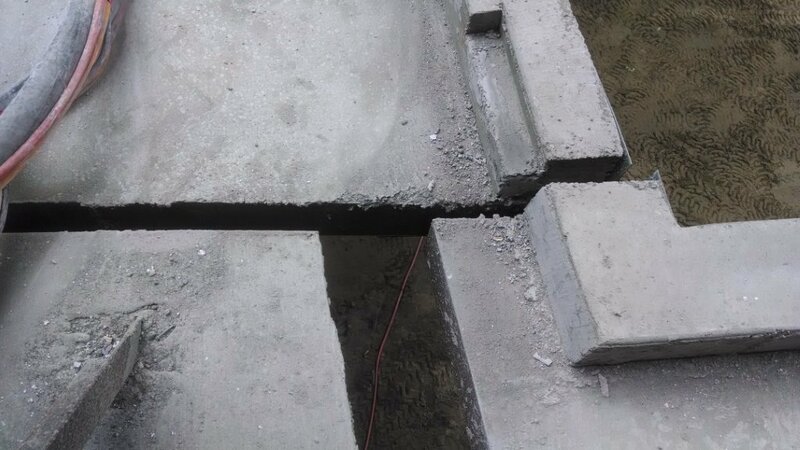 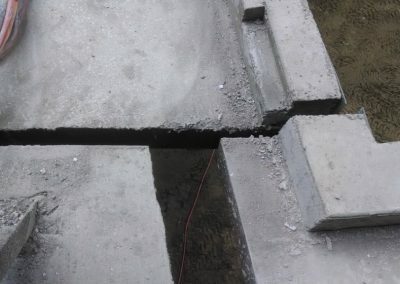 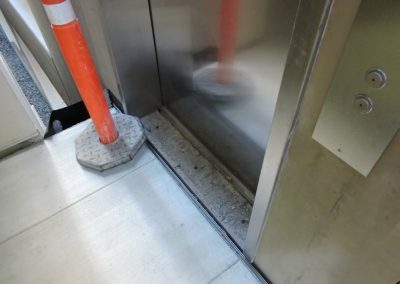 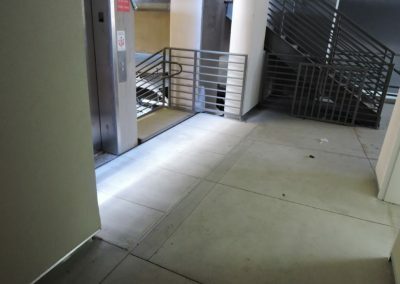 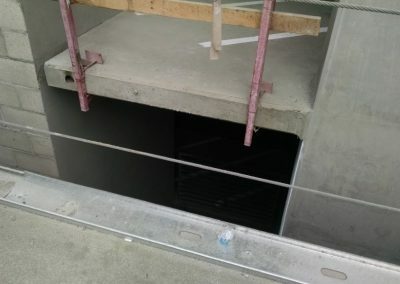 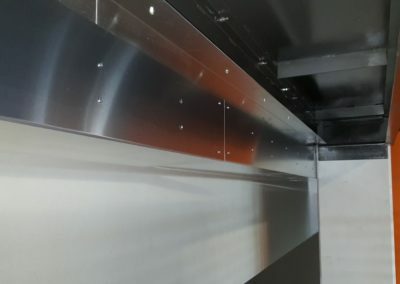 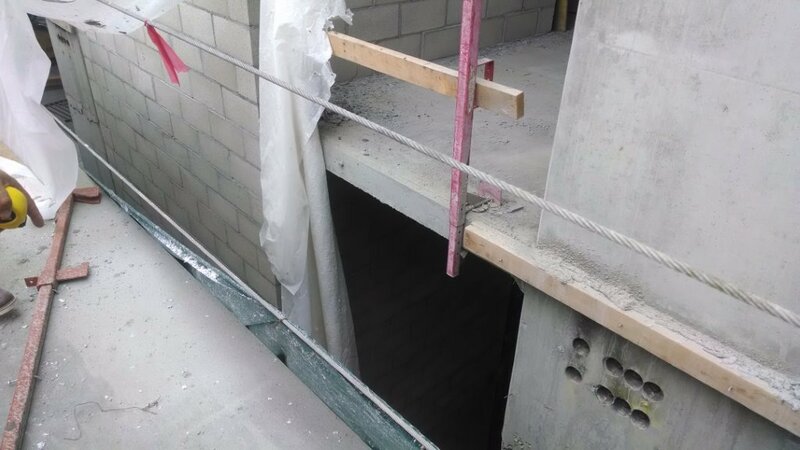 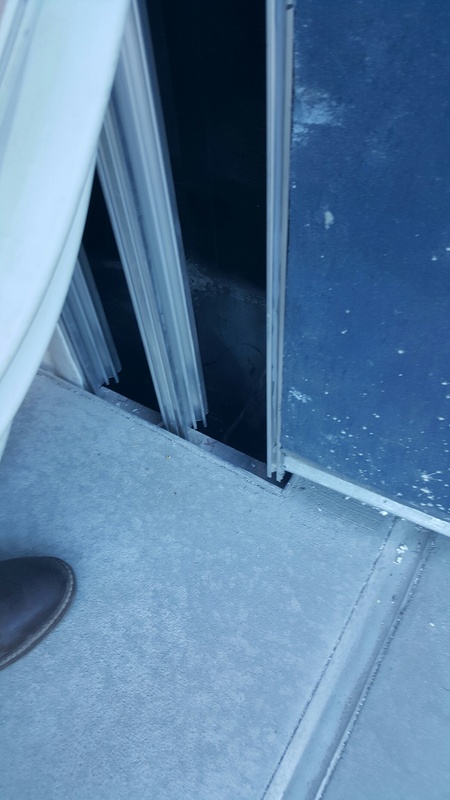 In addition to the smaller expansion joints, Watson Bowman also provided larger heavy duty pan type joints at the parking structure connectors that in some instances spanned 30″ and ran 25′-0″ and 30′-0″ feet. 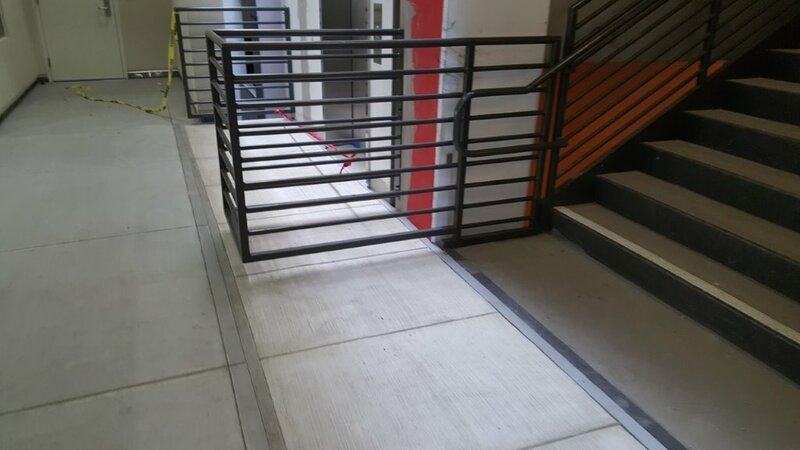 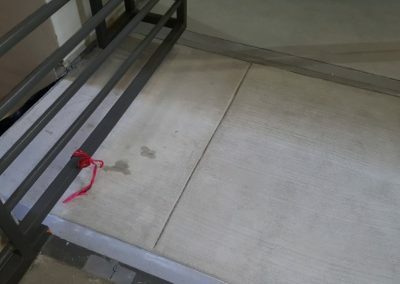 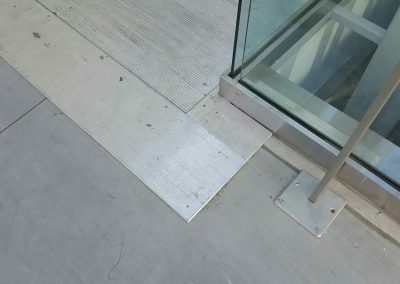 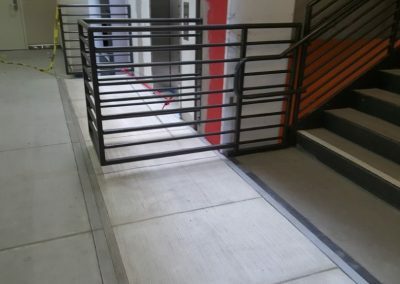 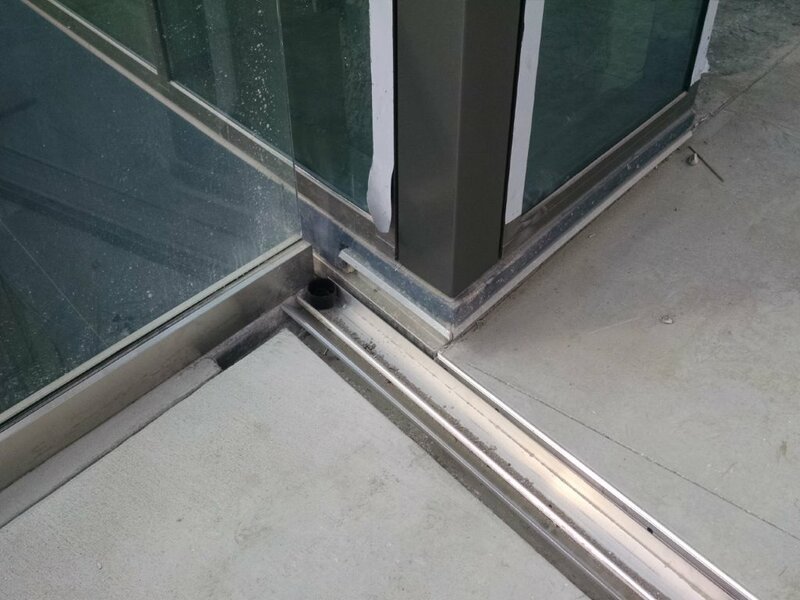 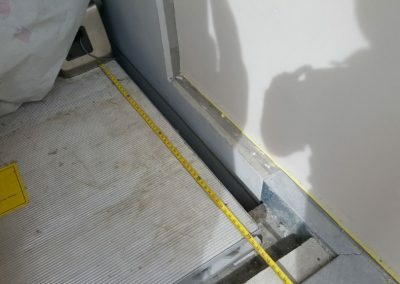 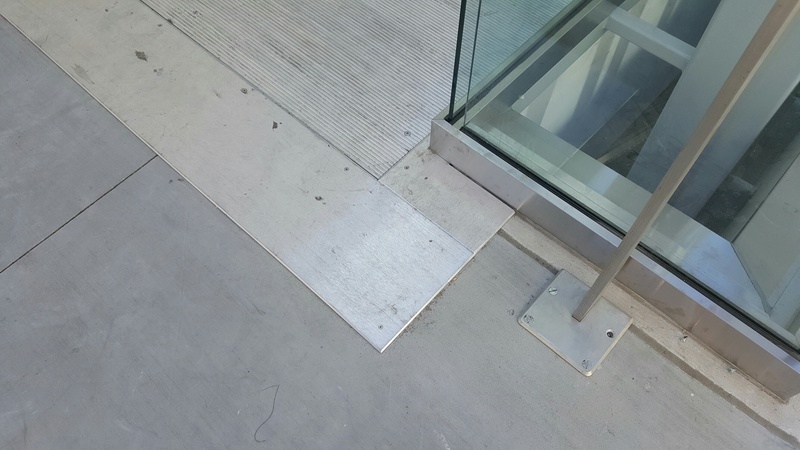 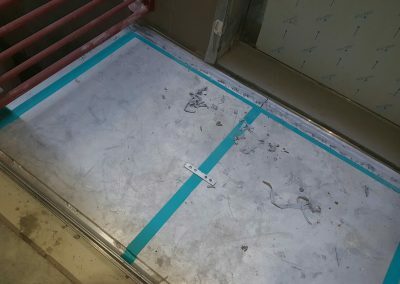 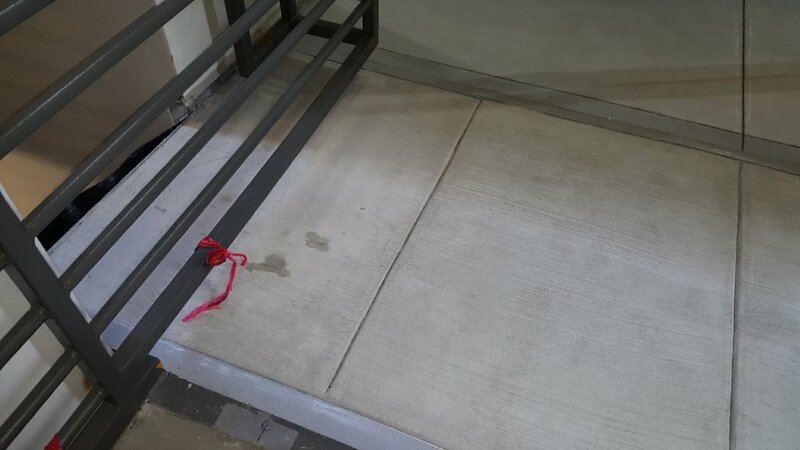 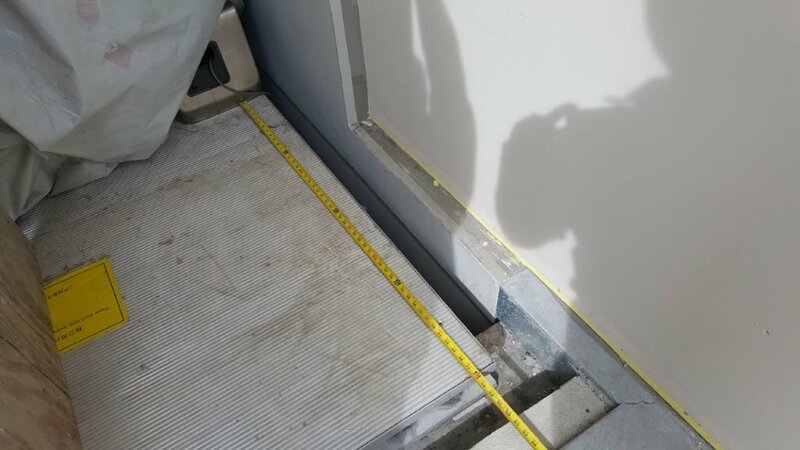 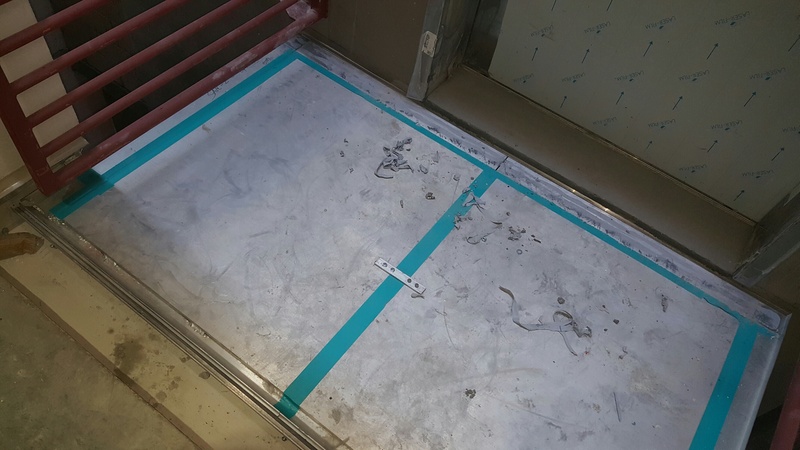 These specialty pans not only serve as expansion joints but were also integrated into the steel stairs becoming stair landings as well as expansion joints. 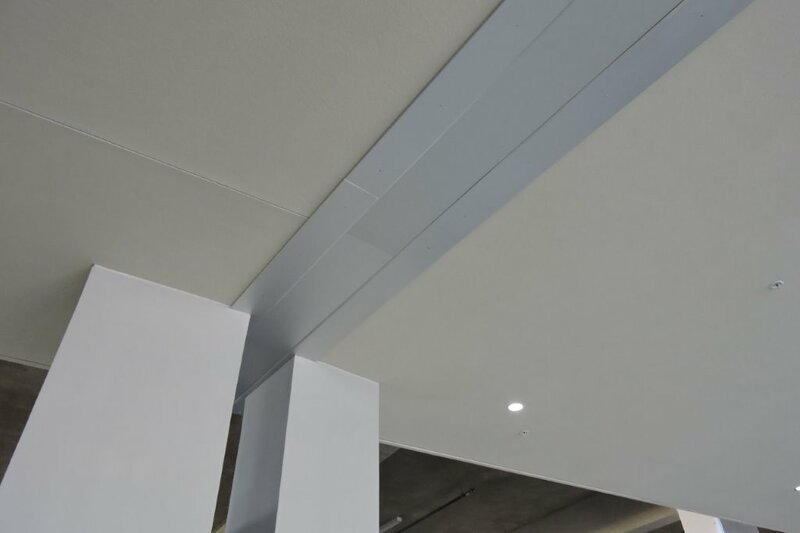 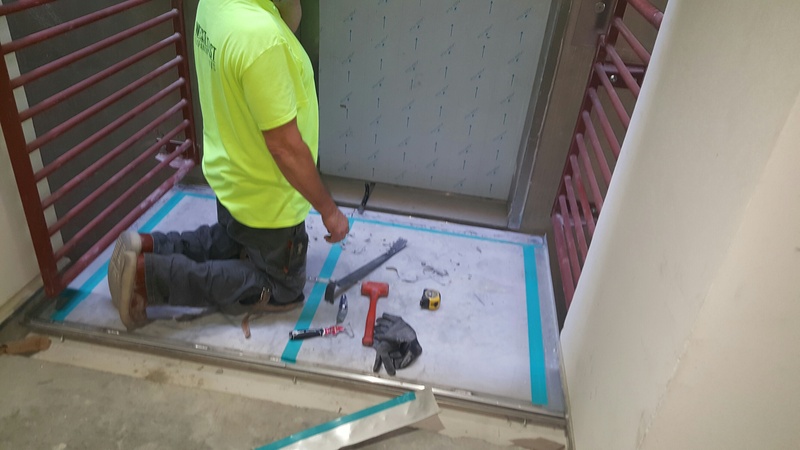 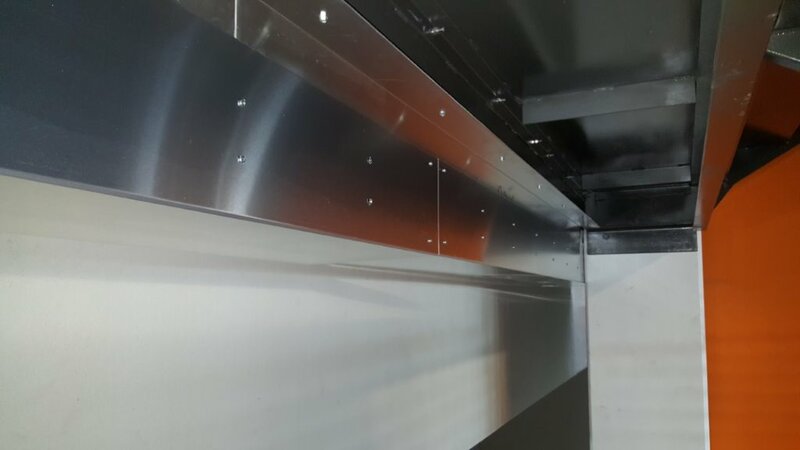 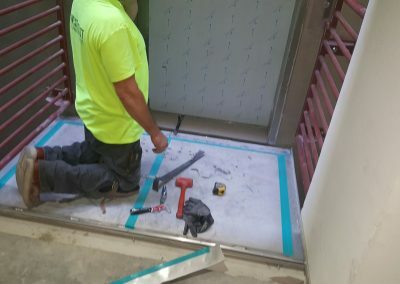 Encore Building Products provided custom elevator rain shades, elevator floor plates and custom designed and fabricated ceiling and pan covers.